Block heels – a success or one for your room 101? Is it just me, or do anyone else’s feet hurt when they look at high heels? Without sounding like an old croc, many years ago I would walk to the tube in heels, walk from the tube to work, walk around all day including up Bond Street at lunchtime and then do it all in reverse to get home again – and I didn’t even think twice about doing so. I still own the first pair of heels I ever did all of that in – Marilyn Anselm for Hobbs. Anyone remember her? These days? Not so much. 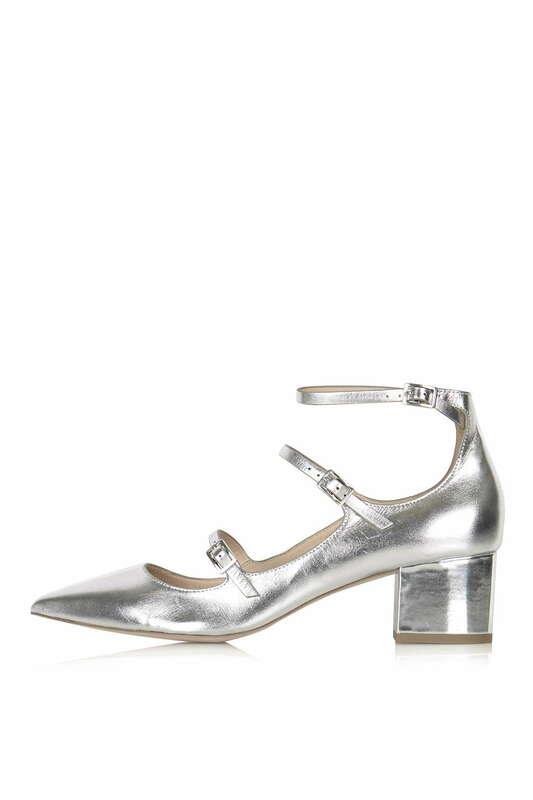 If I’m not working, it’s pretty much trainers or flat boots all the way for me but if it’s a small heel that I’m after, I love a good block heel and I can always rely on Topshop to come up trumps. 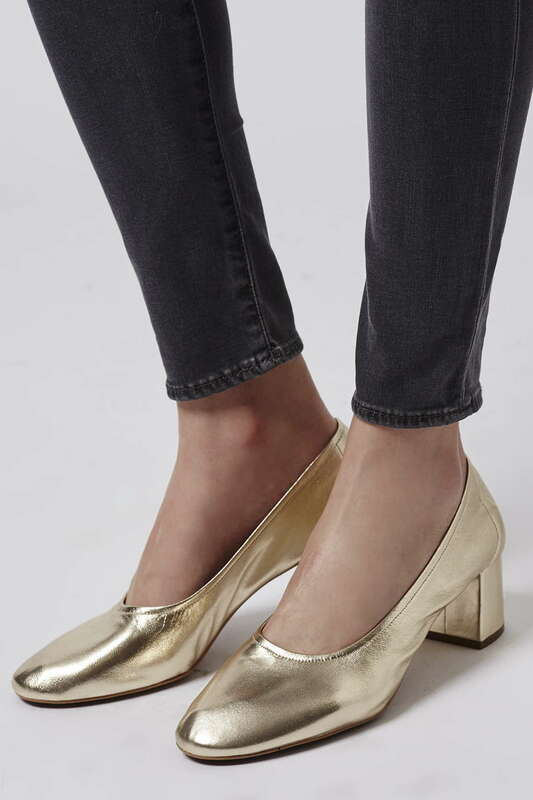 I ordered these Jolene mid buckle shoes from Topshop (£48) a couple of weeks ago but it’s only really been today that I’ve managed to get around to trying them on. They’re 100% leather and they also come in black and in this black and white print below. I like the idea of wearing them with cropped kick flares, with wide legged cropped trousers and also possibly to the wedding we’re going to in early April. I’m conscious that the wedding is only a couple of weeks before the marathon and as well as abstaining from alcohol, I’m also abstaining from heels (it’s fun, fun, fun all the way right now!) These are a great option though – enough height not to feel flat but no so much that my feet will hurt by the end of the day. This Juno style (£59) is also massively popular at the moment. 100% leather, they come in grey, gold, white and red and your Granny would love them! As to my thoughts on them? Hmmm. Marmite. And personally I’m on the “don’t like” side of the fence. 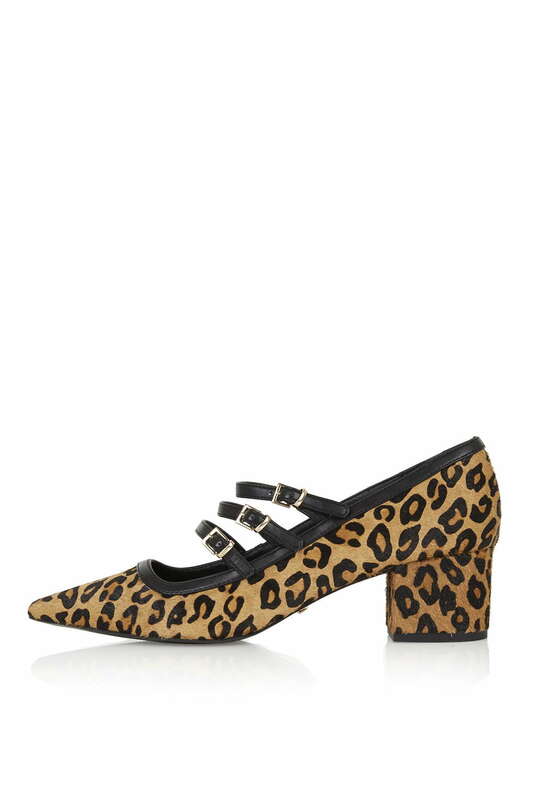 I like a block heel to be accompanied by a pointed toe, or leopard print, or something which stops them from looking too Granny-esque. 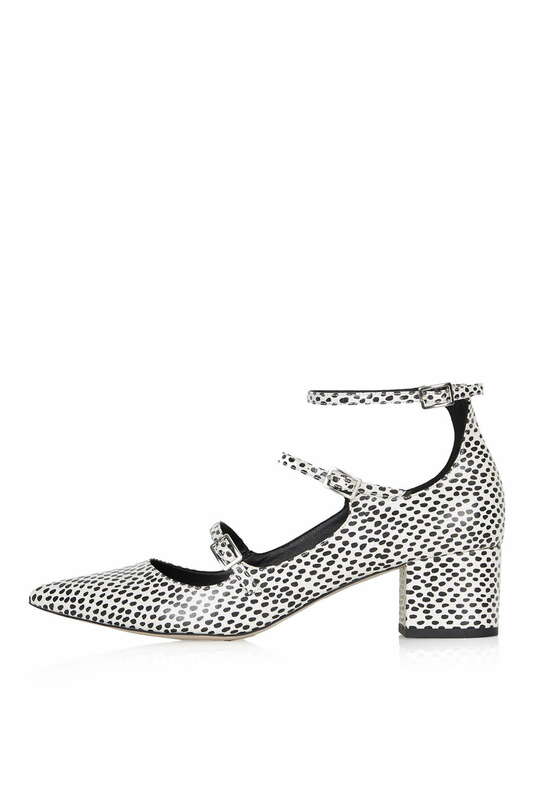 And these are designed to be full on Granny-esque. Which is fine when you’re really young and no where near being a granny but you know, as that age bracket creeps potentially closer? Let’s just say they’re not somewhere I plan on going. Even on young feet I’m not convinced! I know that many avoid block heels for the fear of looking granny like. Well having seen the Juno style, I totally understand that particular fear. However, there are plenty of other options which don’t make you look as though you’re going to be pushing a pram any time soon – and not as the baby’s mother. So I would encourage anyone to given them a go. For work with slim trousers, or for casual with rolled up jeans, they’re a really good option and more flattering and less dated than a kitten heel. What do you think? Have you had success with block heels or have they been consigned to your room 101?! Next Post A dining table with a difference…. Juno – hideous. As you say, you can probably get away with granny style schools if you're a young thing, but there's no way I'm going there at 40+. …until one day when we both see someone over 40 wearing them looking fabulous! Hideous. I don't think I could rock these. Am not cool enough. I like the block heels at the top with all the straps, although I wouldn't wear silver. 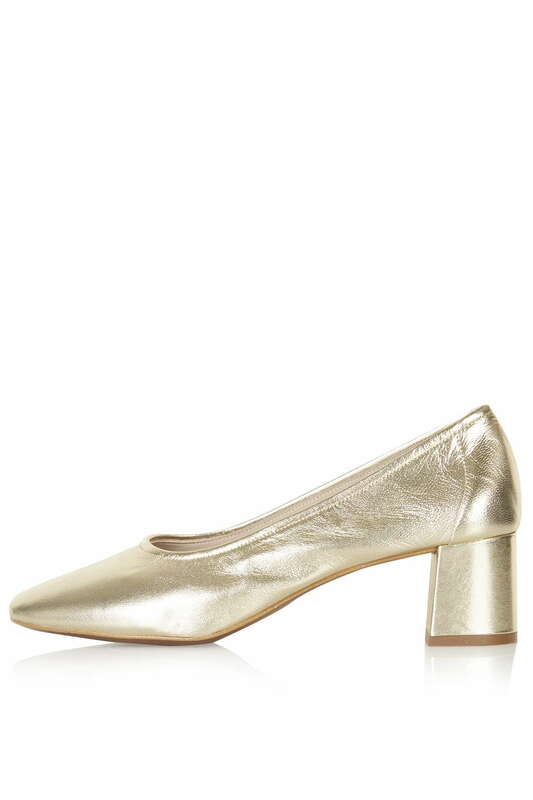 But those elasticated block heel monstrosities. Nope No Nope. I don't care who wears them, they are not for me.